​The year is 1940, London. With the nation bowed down by war, the British ministry turns to propaganda films to boost morale at home. Realizing their films could use "a woman's touch," the ministry hires Catrin Cole (Gemma Arterton) as a scriptwriter in charge of writing the female dialogue. Although her artist husband looks down on her job, Catrin's natural flair quickly gets her noticed by cynical, witty lead scriptwriter Buckley (Sam Claflin). Catrin and Buckley set out to make an epic feature film based on the Dunkirk rescue starring the gloriously vain, former matinee idol, Ambrose Hilliard (Bill Nighy). As bombs are dropping all around them, Catrin, Buckley and their colourful cast and crew work furiously to make a film that will warm the hearts of the nation. 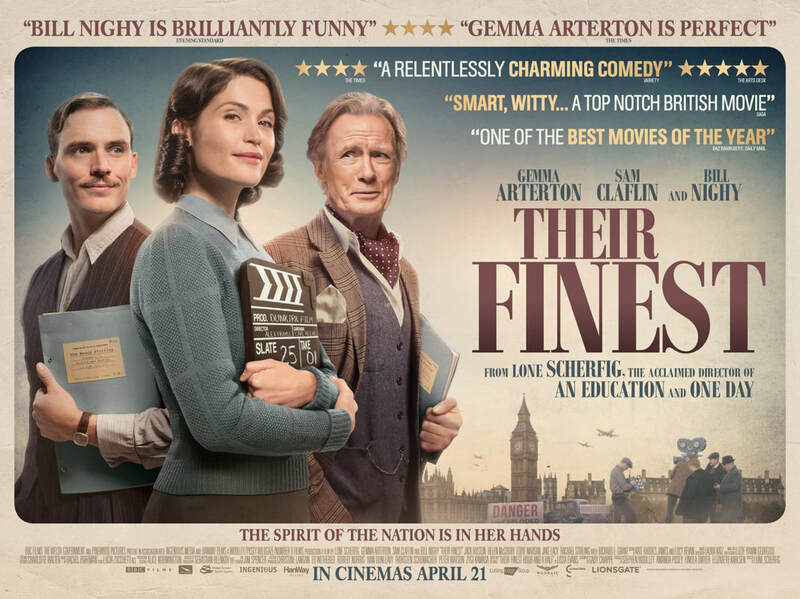 ​Carried along by a winning performance from Gemma Arterton, Their Finest smoothly combines comedy and wartime drama to crowd-pleasing effect. "Their Finest is a joy to watch, if not for Scherfig's direction then for Arterton's leading performance: a mixture of affronted gumption, feminine stoicism and vulnerability that adds up to towering portraiture." "'They don't make movies like they used to ...' goes the common complaint, but here is a work that directly contradicts that." ​"Their Finest is poignant, well-acted, and fun to watch." "It's the kind of handsome, rousing, rigorous entertainment you can't help but like."